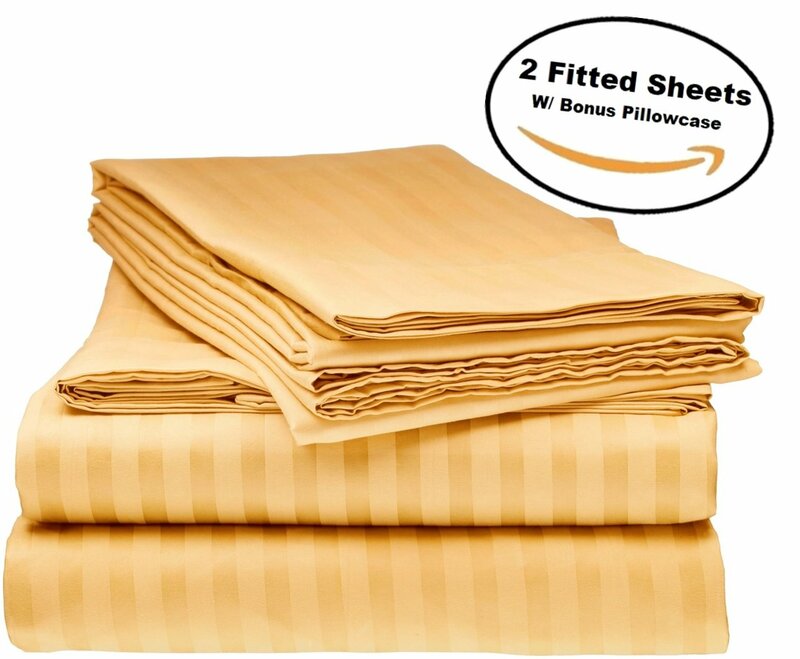 Luxury Deluxe Soft Brushed Microfiber 2 Fitted Sheets - With Free Pillowcase. 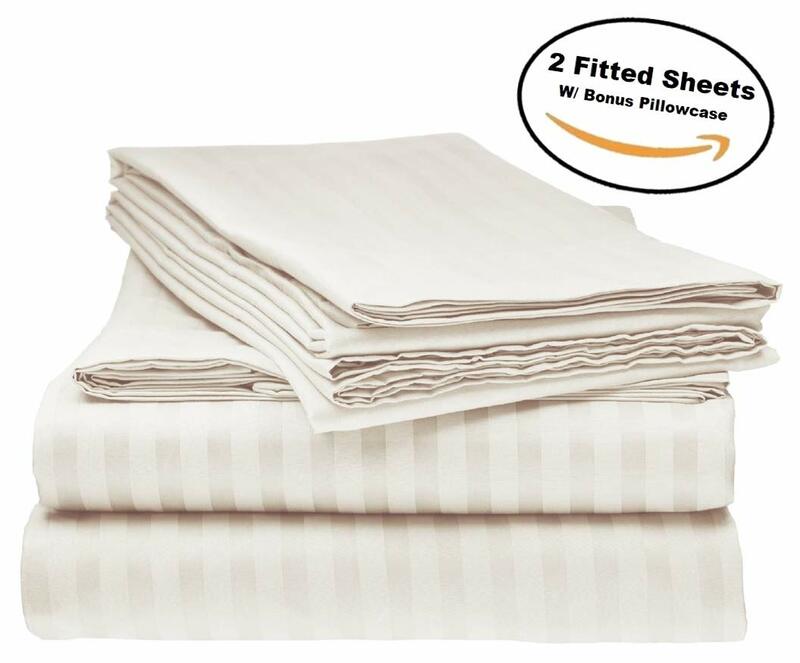 2PC TWIN FITTED STRIPED BED SHEET W/ BONUS PILLOWCASE – Includes 2 Fitted Sheets (39 x 75) and 1 bonus Pillowcase (20 x 30). COOL AND COMFORTABLE – Silky soft feel and finish, with a smooth touch, you will wake up refreshed. 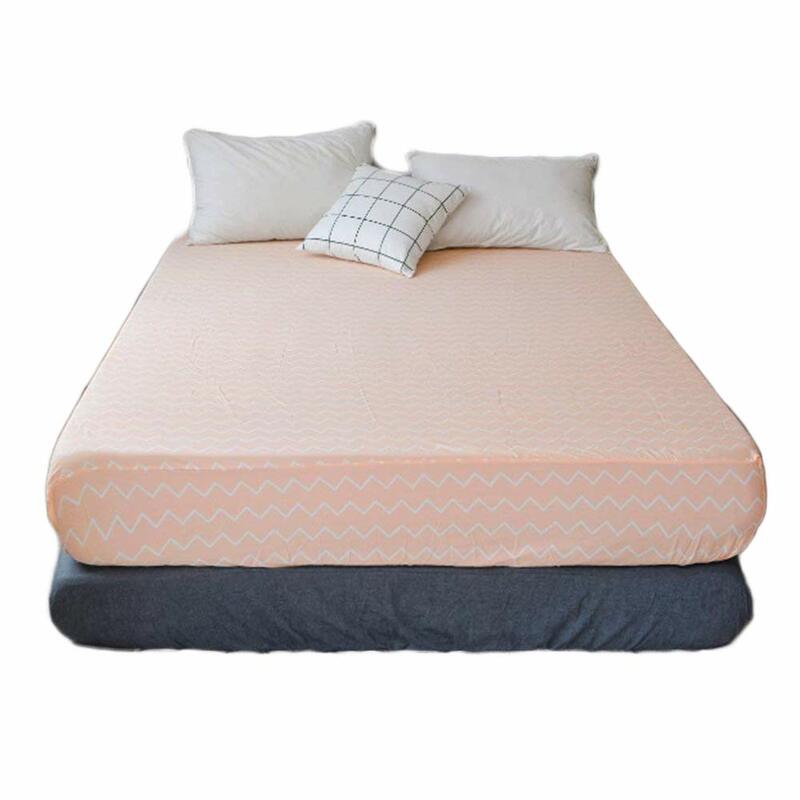 It comes in a variety of colors, and is a great addition to any room such as the master bedroom, guest room, kid’s room, hotel, RV, dorm room and vacation homes. 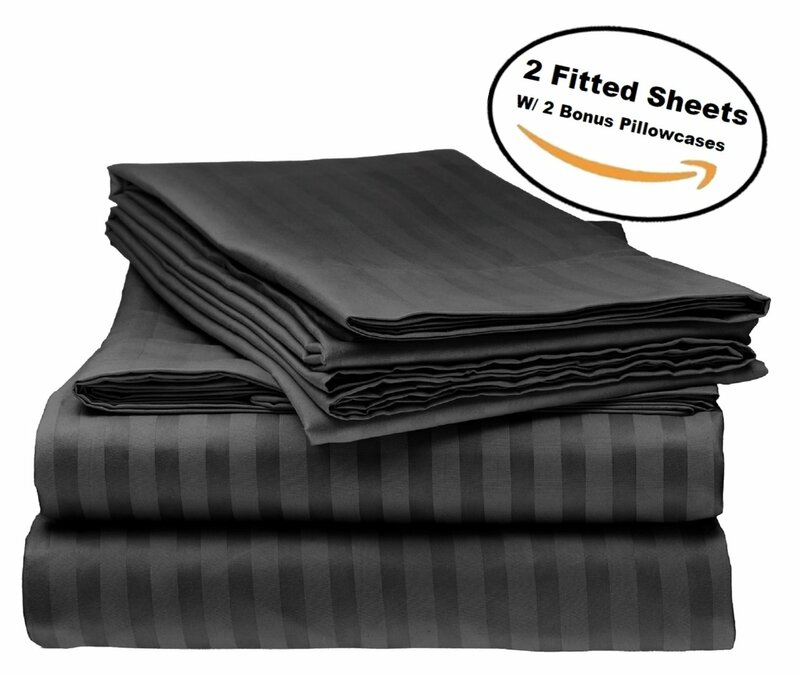 100% SOFT BRUSHED MICROFIBER – Made of highest quality brushed microfiber; it’s cool and comfortable, with these exceptionally comfortable and breathable bed sheets. 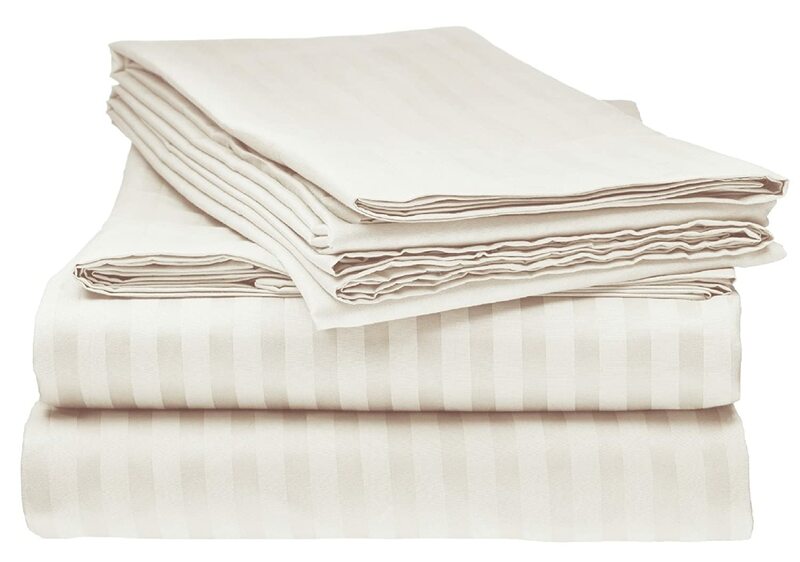 EASY CARE – These sheet sets are fade, stain, wrinkle, and shrink resistant. 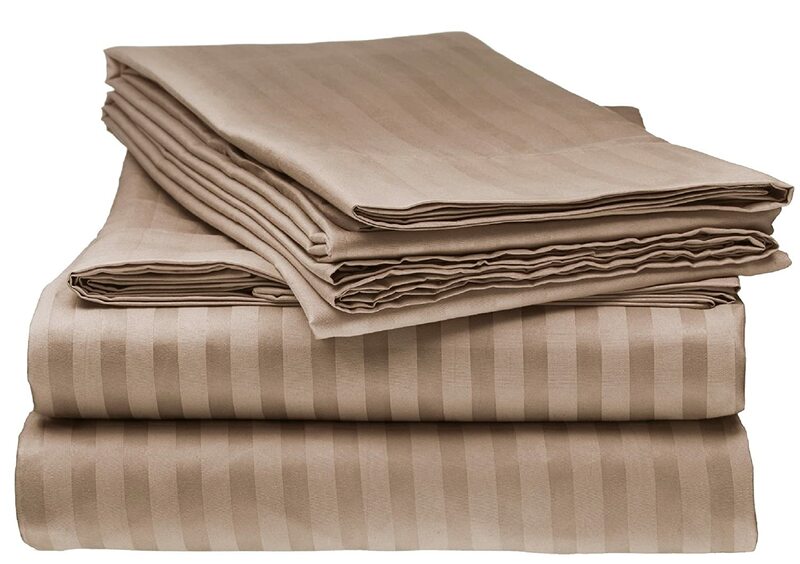 Hypoallergenic, will keep moisture, dust mites, and other allergens away. 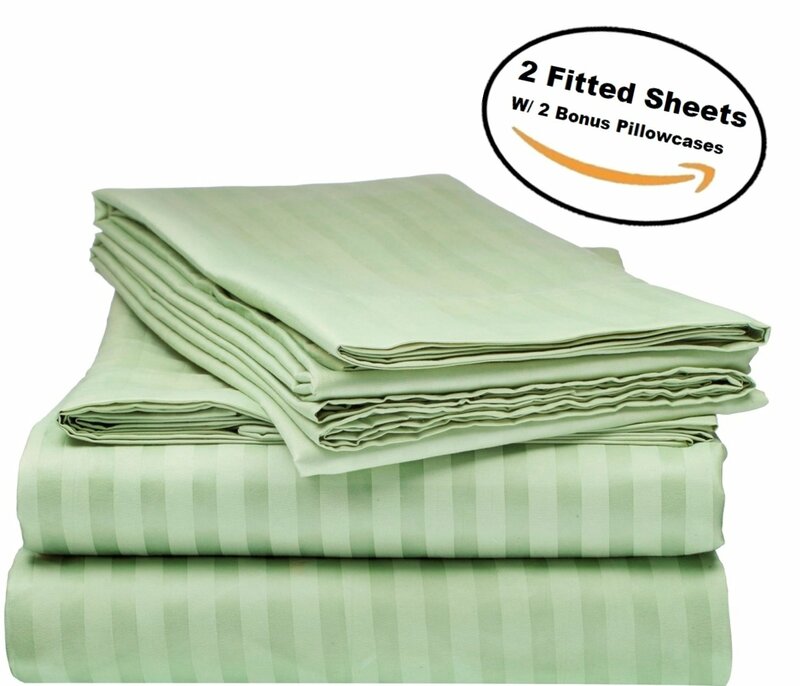 Machine washable and dryer friendly. SATISFACTION GUARANTEED – Elaine Karen is pleased to offer the best microfiber soft elegant bed sheet sets, you can shop with confidence - 100% No hassle money back or replacement guarantee! 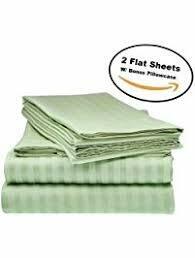 Deluxe 2Pk Fitted Sheets, 100% Soft 1800 Microfiber Highest Quality, Hypoallergenic. 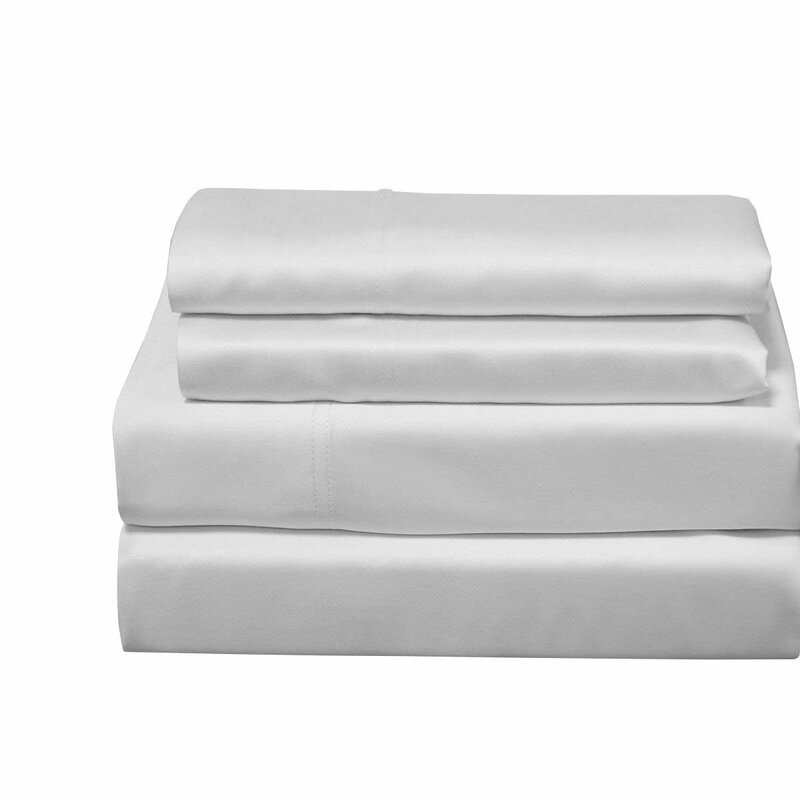 Our top goal is to satisfy every single costumer. With years of experience we know what our customers like. 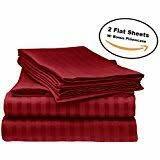 We are pleased to offer the best microfiber soft elegant bed sheet sets. King – Flat Sheet 102”x105”, Fitted Sheet 78”x 80”, Pillowcases 20”x 40”. 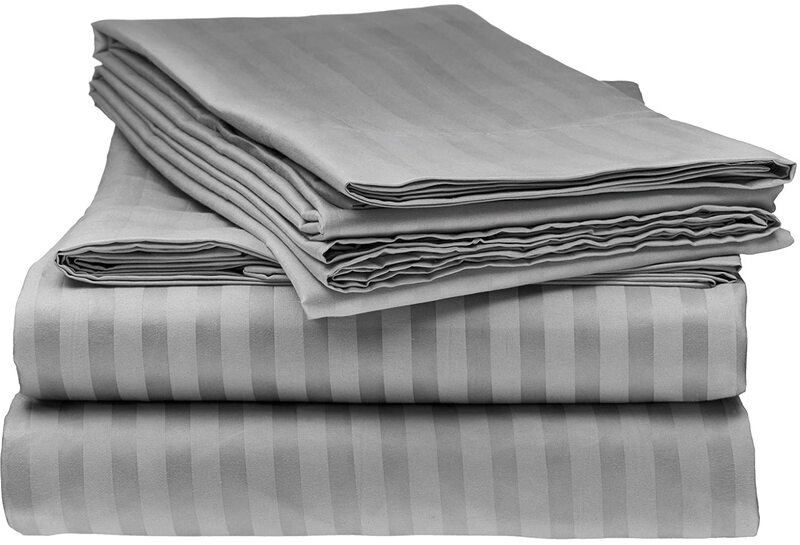 Queen – Flat Sheet 90”x102”, Fitted Sheet 60”x 80”, Pillowcases 20”x 30”. 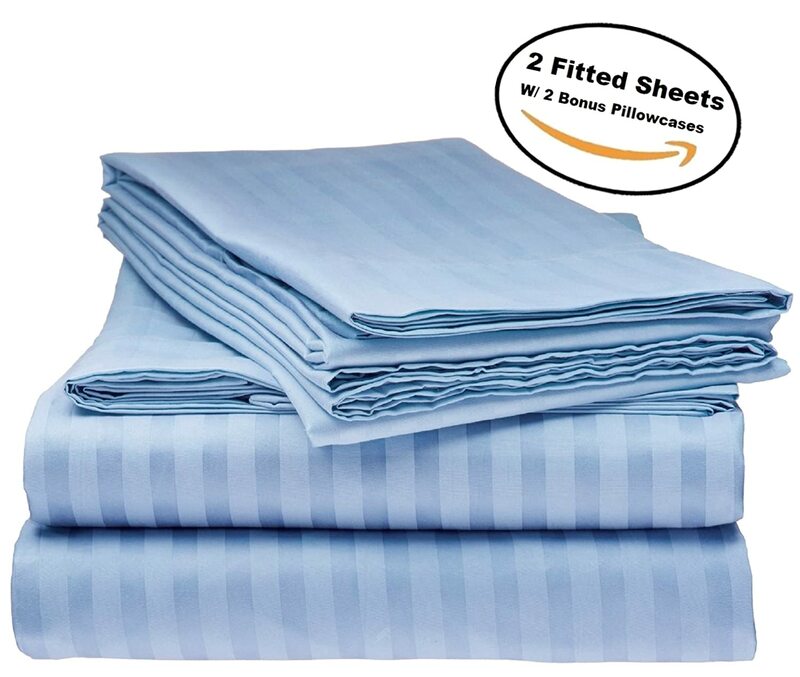 Full – Flat Sheet 81”x 96”, Fitted Sheet 54”x 75”, Pillowcases 20”x 30”. 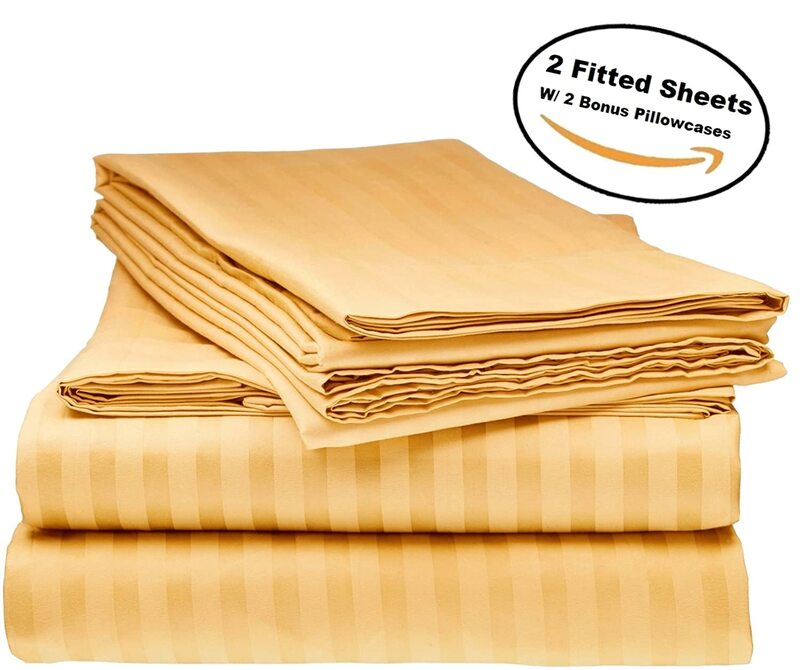 Twin - Flat Sheet 66”x 96”, Fitted Sheet 39”x 75”, Pillowcases 20”x 30”. 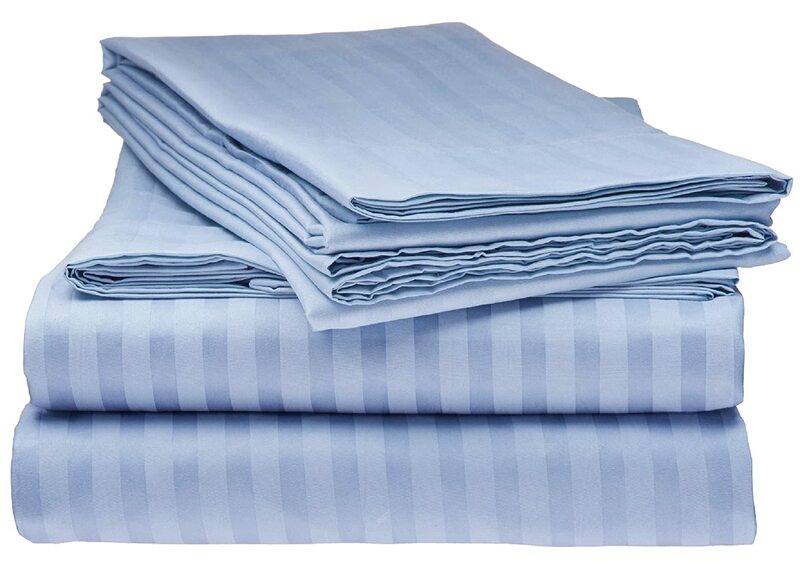 Cool and comfortable, with these exceptionally comfortable and breathable bed sheets. 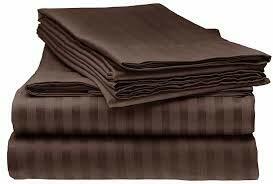 They have a silky soft feel and finish, and smooth touch. 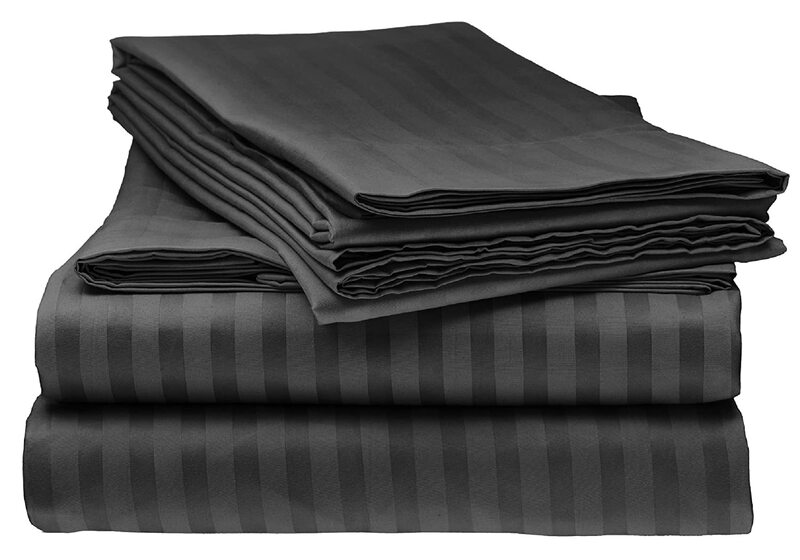 The striped sheets are made of 100% soft brushed microfiber. 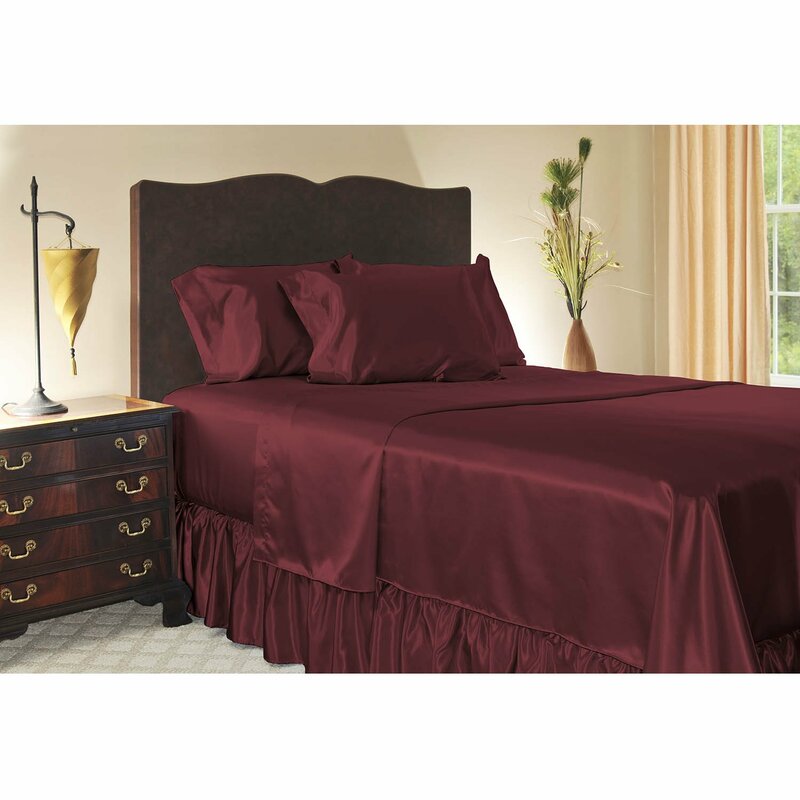 Comes in a variety of colors, and is a great addition to any bedroom. 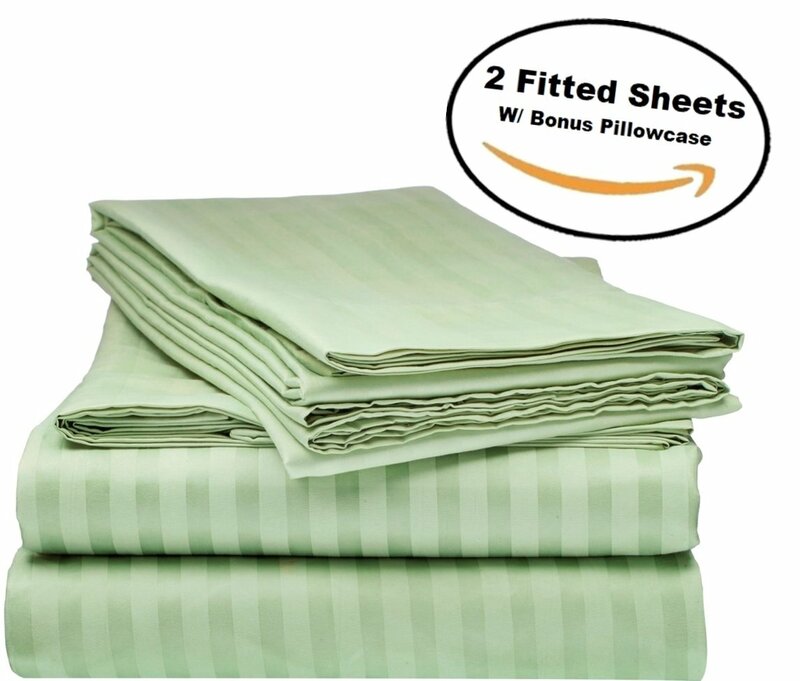 Great for all Bedrooms, Guest rooms, Children’s rooms, Vacation homes, and Dorm rooms. 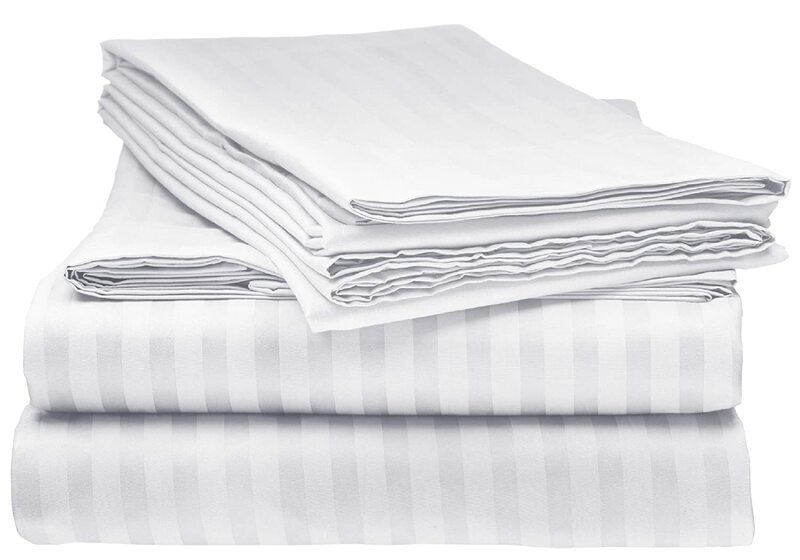 These bed sheets stay fresh and light weight, even after multiple washes. 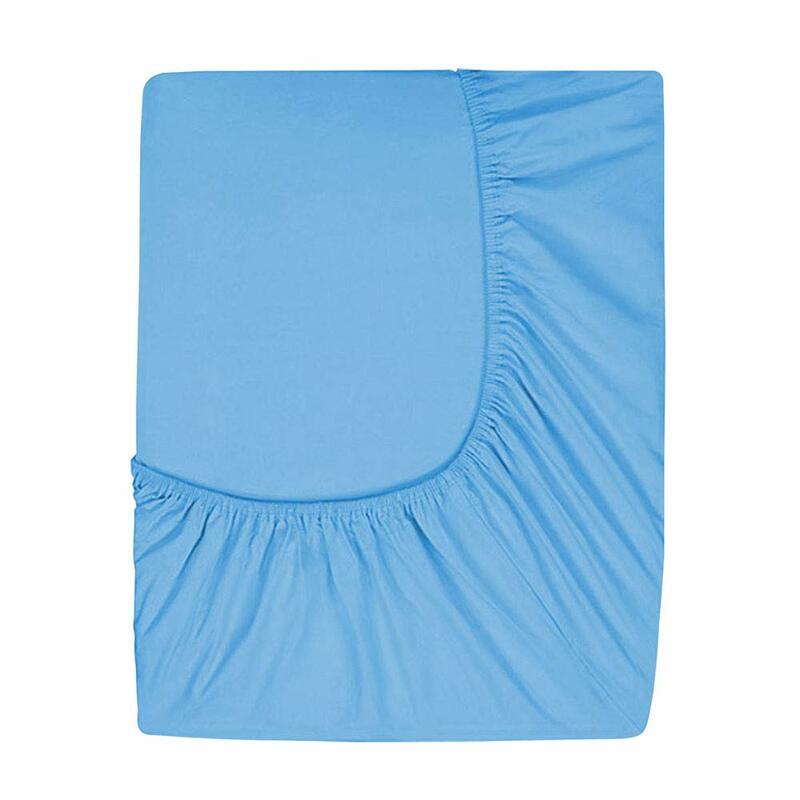 Will keep you cool during the summer, and warm through the long winter months. 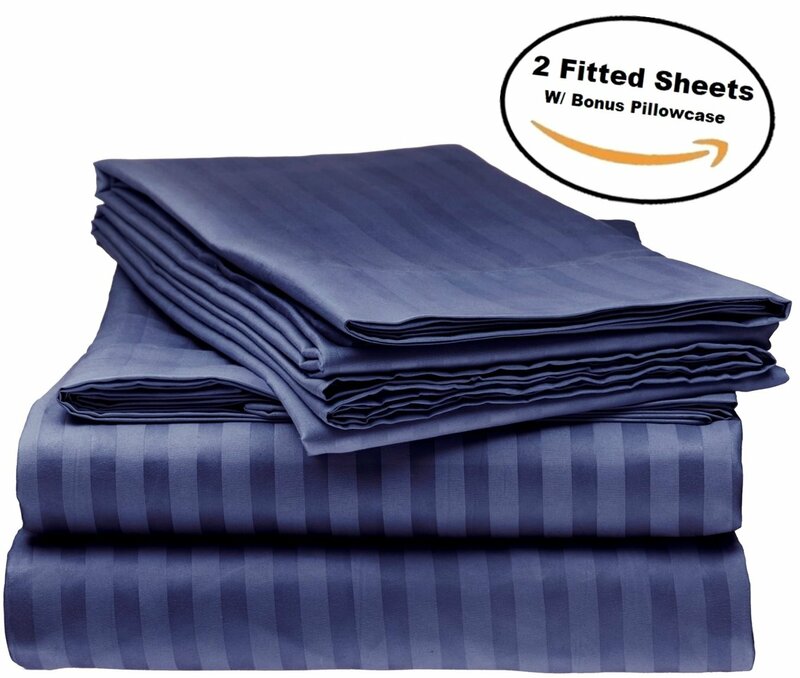 Wrinkle, fade, stain, and shrink resistant. 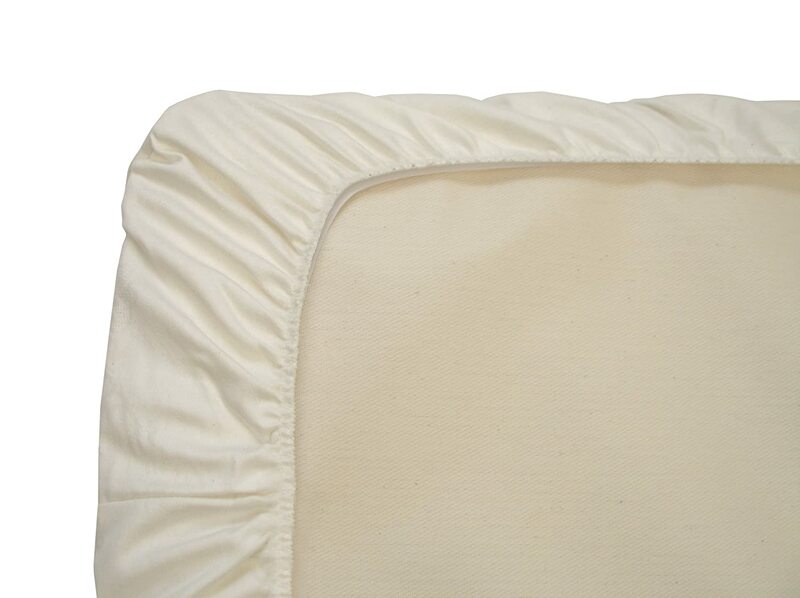 Hypoallergenic, will keep moisture, dust mites, and other allergens away. 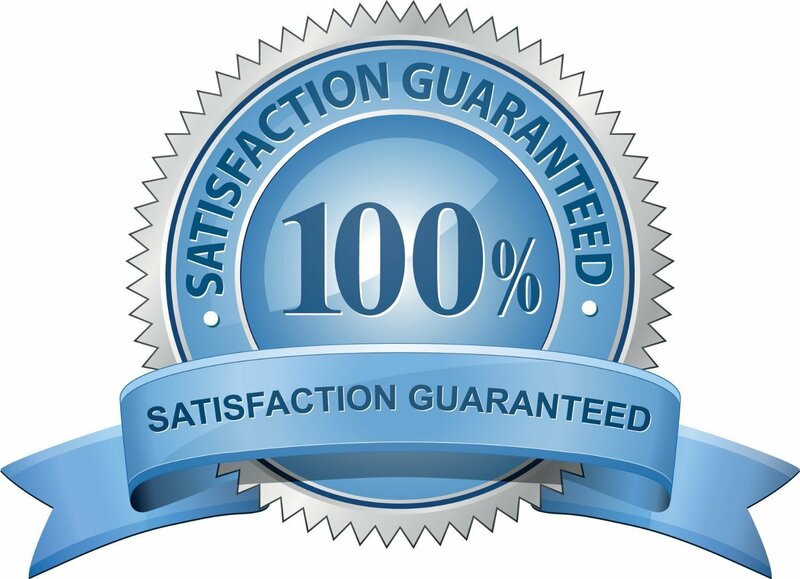 Shop with confidence - 100% No Hassle Money Back or Replacement Guarantee! Order Now! These are really nice sheets and pillow cases. I was semi worried at first when I ordered but I was worried over nothing. 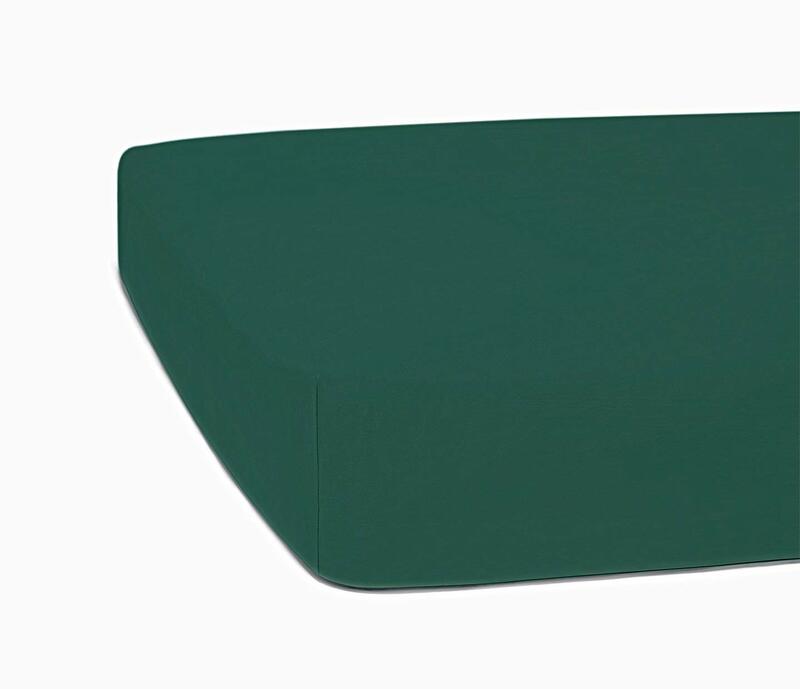 If I had more than one full size bed I'd would have ordered another set right away. 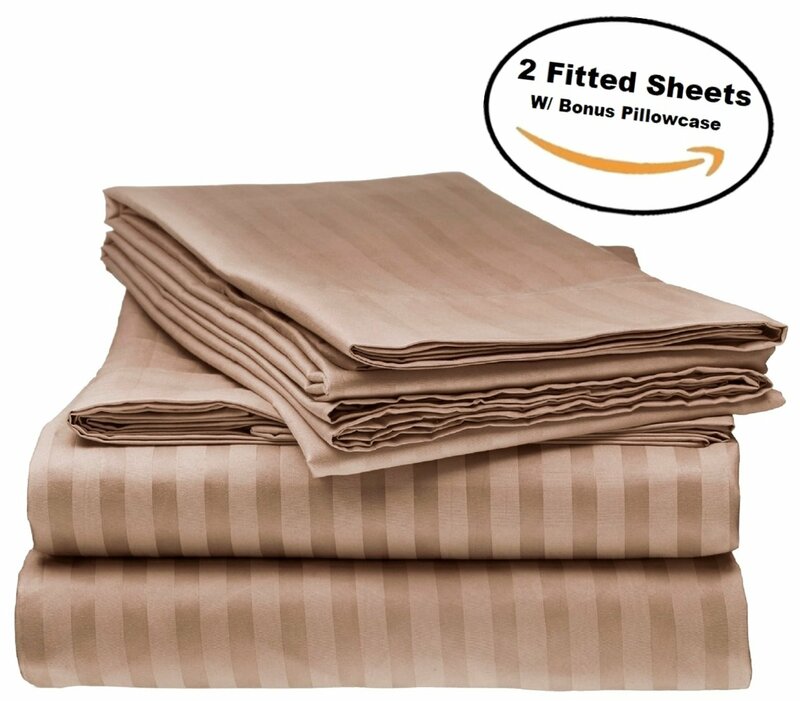 They are so silky nice on my skin & can't beat the price! They feel great and fit well!! 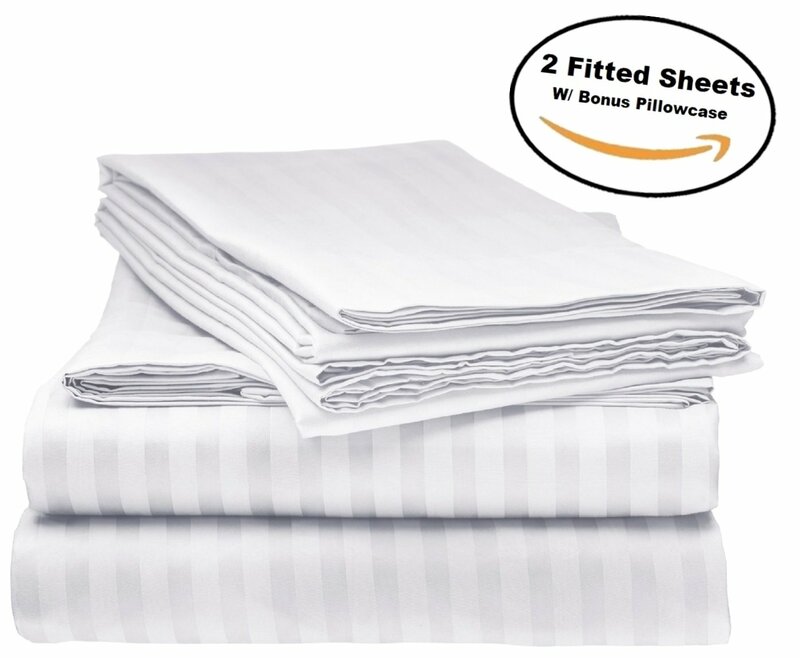 Would purchase again and you donu2019t get a flat sheet which you never use. That was the reason I bought! Great idea. 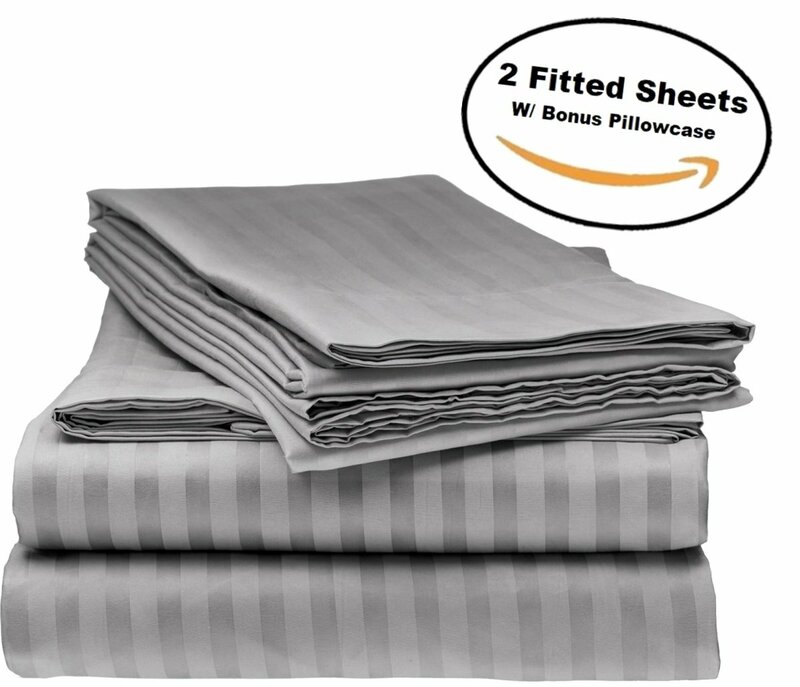 I don't use a top sheet, so this was perfect for my use. 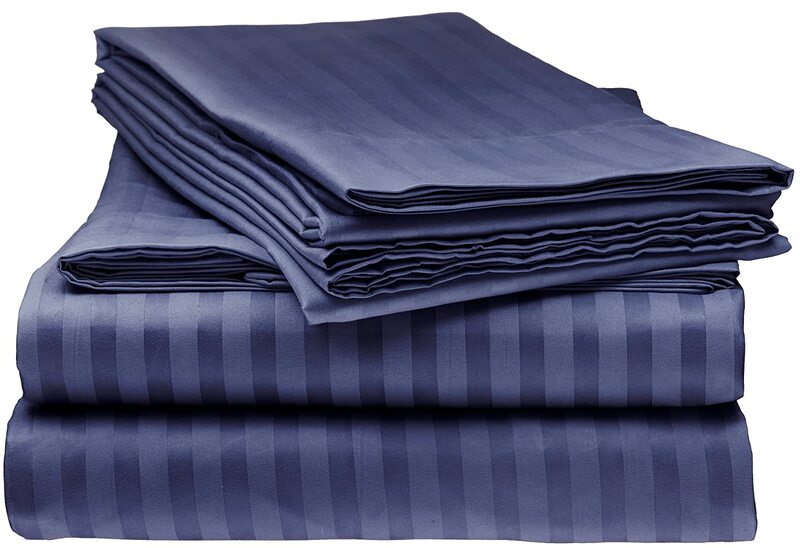 These sheets are gorgeous, silky and fine. 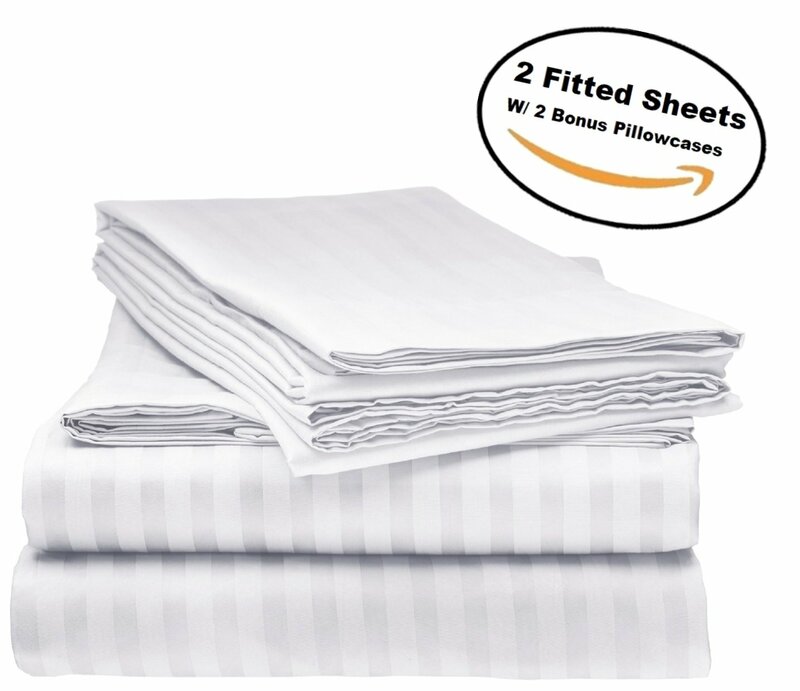 I was just sorry the top sheets didnu2019t come wit them. I thought but does the job. Great buy for the price.